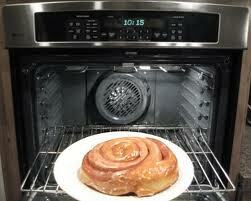 There’s a Bun in the Oven here @ Heather Marie Portraits!!!! In case you were suspicious of the inactivity on the blog the past few months- here is the other part of your answer. I am expecting and oh so excited- minus the constant nausea, ever full bladder, and awful heartburn. I’m not complaining am I? Joel and are preparing to welcome Baby Craven into the world around August 15th, 20011 and are so blessed to become parents. We are both nervous, but trust that God will prepare us with his grace and mercy as we embark on this new journey together. I’m also excited to share in this journey with you as fans. 1. Don’t wait until July to book your session- I am available from now through June for your portrait needs- engagements, families, newborns, SENIORS!!!!! 2. I will be back in time for those late summer and fall shoots that many of you love. Don’t think I’m going to skip out on you this year. Since I am 2-3 months shorter in my photo season this year, don’t wait until the last minute to set up your session. Another change going on around here is the new emphasis on Newborn Portraits. I have always loved photographing these precious little ones, but am even more excited to share in this joy with you. If you are expecting or know someone that is, take advantage of this offer for 15% off Newborn sessions or Baby’s First Year sessions through August. These can be purchased as shower gifts too. I’m sure the mom’s would love this opportunity to cherish there little one’s first days and months. Be sure to check the blog in the next week for photos from my upcoming Operation Love Reunited Session!